Indianapolis Colts Week 5: On the Right Track? 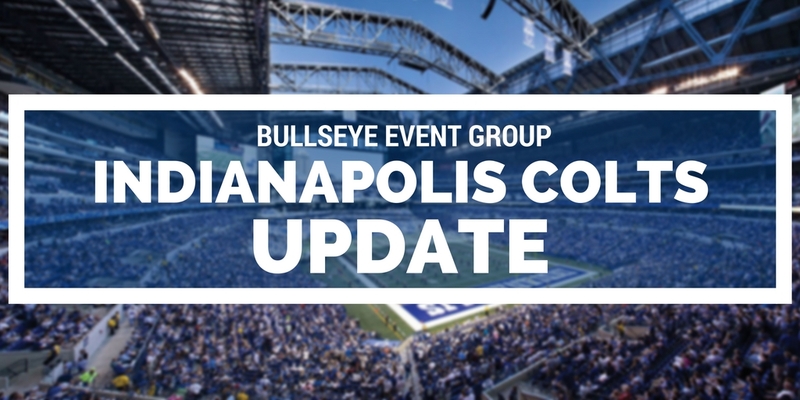 The Indianapolis Colts entered Week 5 of the NFL’s regular season sitting at 1-3, fresh off a disappointing loss to the Jacksonville Jaguars in London. Hosting the Chicago Bears, who also sport a 1-3 record, the Colts would look to secure a victory at home while easing the minds of their fan base. They (somewhat) did not disappoint. Yet again, the Indianapolis Colts’ flaws were masked by a brilliant performance by quarterback Andrew Luck on Sunday. Luck threw for 322 yards and two touchdowns, including the go-ahead touchdown to wide receiver T.Y. Hilton. Despite the efforts of the offense, the Colts defense was just one forced fumble away from possibly allowing a game-winning drive to the Chicago Bears. Sporting backups at quarterback, running back and several key receiving positions, the Bears offense was able to rack up over 500 yards of offense and 23 points on the Colts defense. The Colts have one of, if not the greatest kicking duos in kicker Adam Vinatieri and punter Pat McAfee. That was still the case on Sunday, as Vinatieri hit a slew of field goals, officially making 68 of his last 71 attempts, and McAfee booted a career-best 74-yard punt. The Colts will head to Houston in Week 6, facing the Texans on Sunday Night Football in the same stadium that will host Super Bowl LI. If the Colts want any hope of returning to Houston in February, this is a must-win for the team. With the Texans’ struggles in recent weeks, the chance to make noise in the AFC South is now for the Indianapolis Colts.